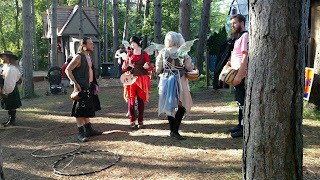 Snarky Marcie: Five ways to prepare for the renaissance festival. 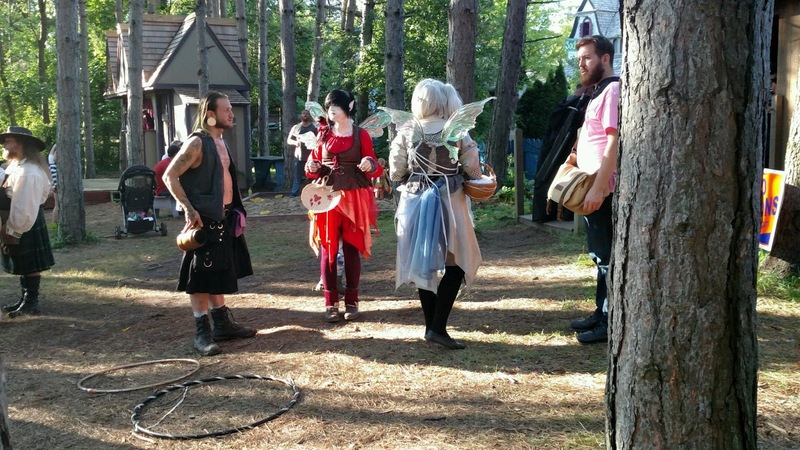 Five ways to prepare for the renaissance festival. The Renaissance Festival is more that a place for weirdos to dress up and pretend to be anything other than a Sandwich Artist from Subway. Sure, it's mostly weirdos...but it's also fun. There is good food, entertainment, lots and lots of walking, and activities for the kiddos. That being said, if you're a Festival newbie like I was just hours ago, take my advice below. 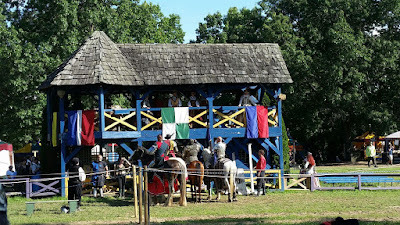 Five ways to prepare yourself for the Renaissance Festival (and, no, it isn't learning to say 'Huzzah' or 'Good Morrow'). Step 1: Learn how to spell renaissance. If you're going to the festival, and you care one iota about your popularity, you're going to be posting about the event. Do yourself a favor and learn how to spell that main attraction. This also comes in hand when you need to google or search for directions. 1. the activity, spirit, or time of the great revival of art, literature, and learning in Europe beginning in the 14th century and extending to the 17th century, marking the transition from the medieval to the modern world. 2. the forms and treatments in art used during this period. Step 2: Prepare to see fairies. The fairies, in my opinion, were the most confusing part. We are supposed to be reviving the art, literature,and learning from Europe from the 14th to 17th century...and who knew there were so many fairies?! Step 3: Wear shoes you do not like. The Michigan Renaissance Festival is located in the middle of nowhere. You park in a dirt, grass, stone parking lot and start walking down a path. the path goes from decent wood chips to thick, sloppy mud. The trail makes you feel like you're in a scene of The Walking Dead. And, depending on who you're walking the path with, you may wish yourself into the world of the apocalypse. Step 4: Consider dressing "normal". Sure, you may have seen the episode of The Big Bang Theory where they go to the Renaissance Festival and dress up to blend in. Sheldon even fashions his own undergarments our of his Leonard's bed sheets. Step 5: Practice your medieval offense. There is plenty of fun to be had at the Festival. 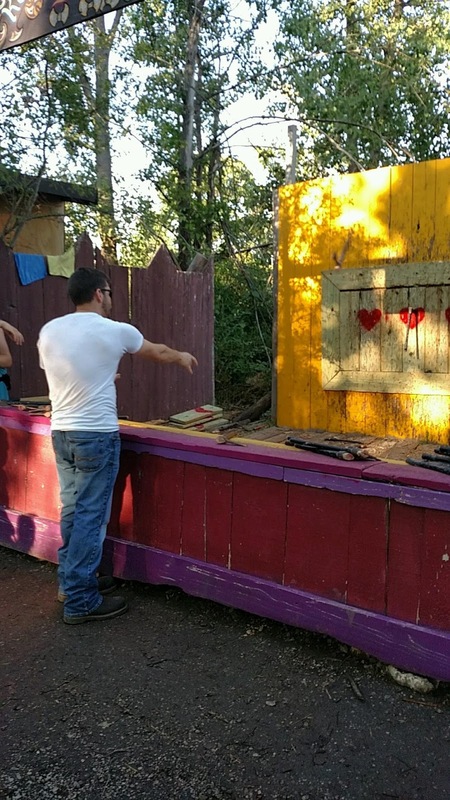 Part of which is archery, knife throwing, and axe throwing. 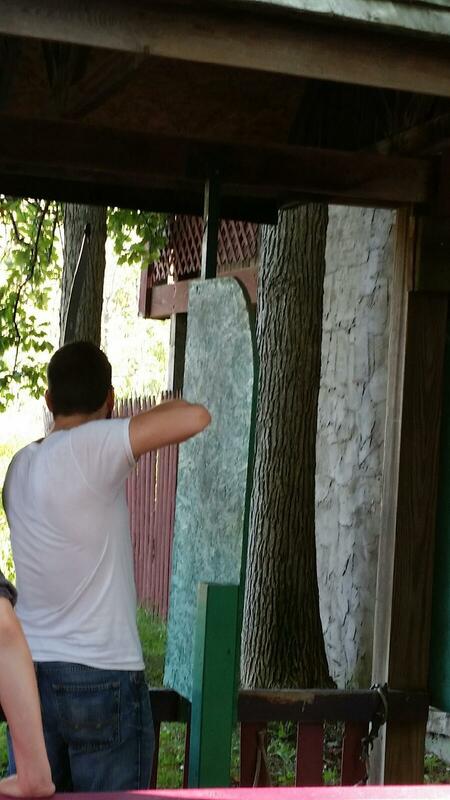 Who wouldn't take an opportunity to practice their medieval combat? Before you spend your $5.00, make sure you lower your standards. The equipment is shotty at best, but you'll feel cool doing it. There was a time in my life that I wouldn't be caught dead at a Renaissance Festival. It's 5-steps down from the County Fair. However, it's an experience that I feel we should all have. Even if you walk away with a half-eaten turkey leg, and regretting the chain-maille you just purchased...it's an experience that you can claim. Don't be afraid to live a little. So many people think they need to travel far to experience new things, but it is really that they are too self-righteous to try the many experiences close to home. Do not be that person. Explore your neighborhood. If you don't know all there is waiting only a few hours away, what makes you think you're ready to cross oceans? Spend a little time in your own backyard, you may find something awesome.